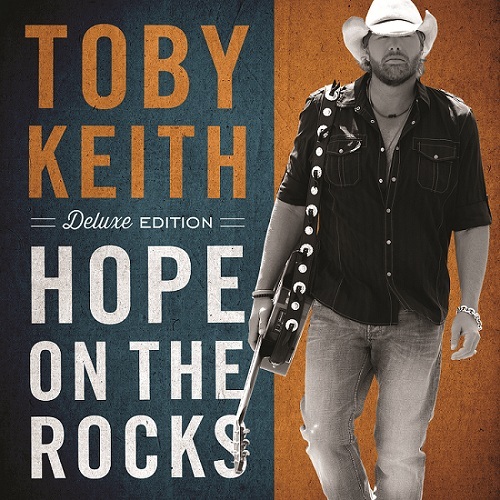 Toby Keith New Album Hope On The Rocks Album Cover, Release Date, Track Listing and more! Yesterday via social media, Toby Keith let the country music cat out of the bag by letting fans in on the details regarding his upcoming album, Hope On The Rocks!! You can check out the complete track listing and album cover below. The new record is available in stores and via digital retailers October 30th! Find it on iTunes OR Amazon now! Toby Keith, Hope On The Rocks Album Cover. Hope On The Rocks (Deluxe Edition), Complete Track Listing. Country Music News Blog participates in advertising programs that help fund the operation of this site. For more information please visit our privacy statement. This entry was posted in New Music, Toby Keith by MissMolly. Bookmark the permalink.